After a bunch of flake outs for the Glycol installation, Tyler decided we could and should take on the challenge ourselves. There were plenty of resources telling us that we could do the job, including some close friends who had done it themselves. After a bunch of research, Tyler landed on Aquatherm. Aquatherm is a heat infused piping system made from specialized PP-R, one of the most chemically inert piping materials in the world. It was the perfect solution to standard PVC for countless reasons, and after learning how to use it and completing the job, we're not only prouder to have done it ourselves, but we would also highly recommend using it! 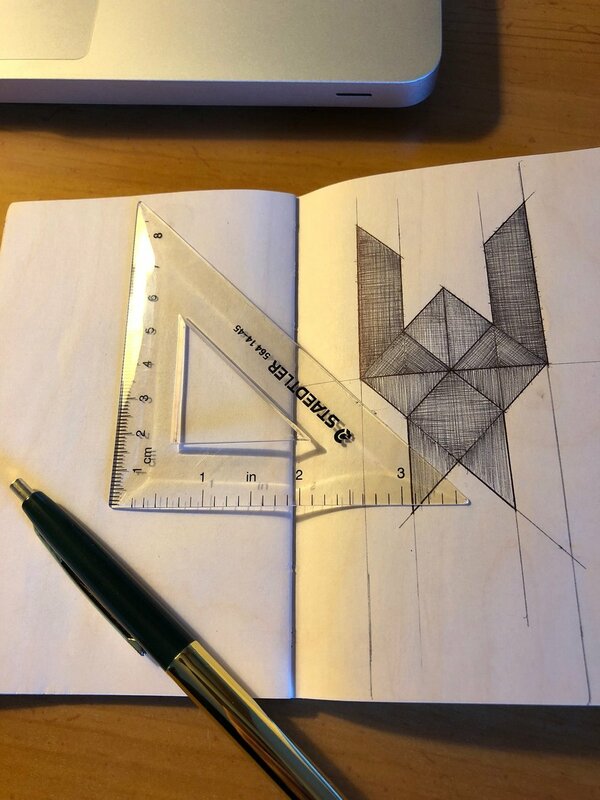 After putting the word out to our network for an architect, we linked up with Rebecca Friedberg, Synapse Design (https://www.synapsedesignstudio.com). When she suggested we meet up at Fieldwork to finalize our plan of attack over a beer, we knew we had our match. She truly worked magic throughout the process and went above and beyond to get us through the permitting process, teaming up with our man Tyler, and our insanely talented contractor, Michael Dogerty. Once we had finally obtained our building permit, it was time to sit back and watch the Dog (Dogerty) destroy the playground. We'd never seen a three foot slab with miles of rebar, a whole warehouse wall cleanly chopped out, and a new building framed and raised so quickly and efficiently. It was truly amazing to watch talented builders turn a drawing into the future home of our brewhouse and cellar. On September 20th 2016, we signed a lease with Santa Cruz legend, contractor, builder, and family man, Tom Reese. Tom built the clock tower down town, hence my usage of the term, legendary. Tom showed a sincere empathy for our dream, and he expressed many times over that he was ecstatic we were opening a brewery. Tom liked beer and he really wanted this area of River St. to be cleaner and livelier, and he felt that a craft brewery would provide just that. Unfortunately, Tom passed away earlier this year. Not only do we intend on brewing a batch dedicated to him, but we intend to honor all his wishes of bringing something good to the community of Santa Cruz, the place he held dear till the end of his days. In the early stages of our journey, we weren't entirely sure how to utilize the beautiful space we had obtained. With wooden floors raised about three feet above ground, how were we going to put all this equipment in there? Would it hold all that weight? 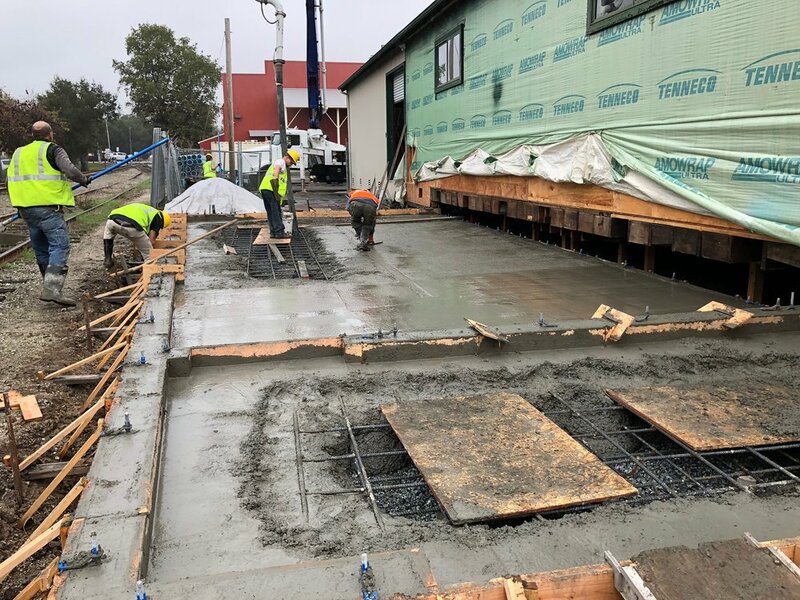 Even though our structural engineer concluded that it could hold, we still decided it would be best to cut one thousand square feet of the floor out and pour the brewery foundation and drains at ground level. 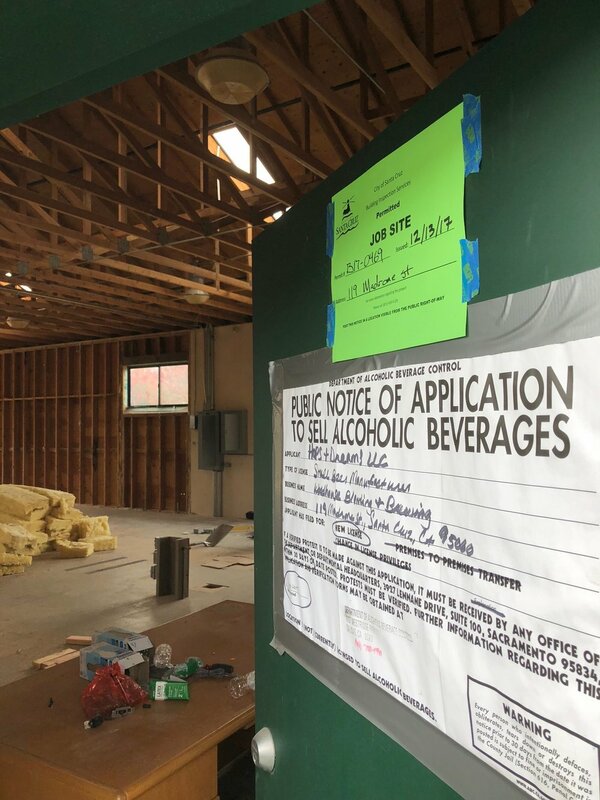 The only down side of that plan, was that it greatly reduced the amount of community and tasting room space. So in an effort to preserve the whole warehouse floor-plan, thinking literally outside of the box, Tyler suggested we open up the backside of the building facing the railroad tracks, and build a 1000 square foot addition. Though it would be our most costly endeavor, our problems were solved. Yet, that was the point when a small dream became immense and intimidating, still we made our plans to conquer the space. I moved to California in 2011, as I had always dreamed I would someday. Thanks to old friends, I found myself in Santa Cruz. It was easy to stay and thrive, simply because I've always felt at ease close to the ocean. One of my childhood friends, Mike Rodriguez, already a veteran brewer at the time, was living down in San Marcos brewing for Port/The Lost Abbey. It was through visiting him at Boulevard when we still lived in Kansas City, and then passing through The Lost Abbey while he was there, that I grew more and more interested in the beer industry. On one of the visits to San Marcos, I threw out the idea of opening a place in Santa Cruz—our own place. I was surprised to find that Mike was open to it. Over the next year we would formulate a plan to go for the gold.